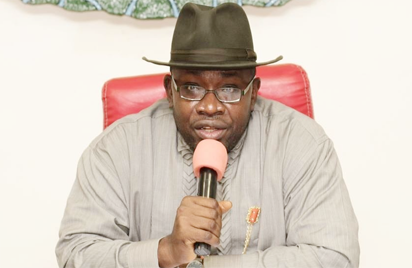 Ahead of the 2019 general elections, the Bayelsa government has given an assurance that it would sustain the enlightenment campaign on continuous voter registration to increase the awareness level of eligible voters in the state. The State Commissioner for Information, Mr Daniel Iworiso-Markson, disclosed this in Yenagoa on Wednesday when he visited some broadcast media organisations in the state. He said that the government had concluded plans to begin another round of sensitisation to enable eligible voters know their rights and choice of candidates at the polls while discouraging voter apathy. ‎He said the sensitisation programme, billed to commence in August, would be in the form of series of social and electronic media engagements, particularly in the various local languages. Iworiso-Markson said it was high time stakeholders began the conversation on how to have credible people win elective positions in order to sustain the legacies of the present administration. According to him, what has counted positively for the state in the last six years is the stable, committed and focused leadership of the government led by Gov. Seriake Dickson. He called on the people to be ready to use their permanent voter cards to elect people with the right attitude. The commissioner, however, cautioned that should people not be apathetical with regards to the electoral process. ‎”Bayelsans must use their democratic privilege to ensure that we don’t go back to Egypt. “Those who have made us suffer underdevelopment ‎must not be allowed to come back. So the coming elections are very critical to us as a government. “We want to begin the sensitisation of our people, using the media. It is not just to register ‎and obtain your PVCs for keeps. “Bayelsans must come out and use their PVCs so that the right people will be elected to carry on the good works of Governor Dickson,’’ he said. He thanked the media outfits for their support for the state government, especially the ‎massive coverage being enjoyed during the just concluded town hall meetings on the public service reforms and urged them to continue to remain objective. Iworiso-Markson assured the people of government’s continued provision of a conducive environment for their businesses to thrive, saying they remained critical partners in the sustenance of the nation’s democracy. “We have come to thank you for the support you have continued to give to us. The town hall meeting is a good example. We saw the coverage and we are grateful. “This is the kind of partnership we want, particularly as we move into the elections; knowing how important the coming elections are, we want you to join in sensitising our people. “You have the platform to do that and so we enjoin you to walk in the same direction with the government to ensure that people of proven integrity are elected, ” he said. Newsmen report that media organisations visited included Royal FM/Royal TV, AIT/Raypower, Peoples FM, NTA, Silverbird/Rhythm and Radio Nigeria.